Preheat oven to 375. Halve pumpkin crosswise and scoop out seeds and strings. Place pumpkin halves in a large baking dish, shallow side down. Bake, uncovered, for two hours, or until fork tender. Remove from oven and cool. Scrape pulp from shells and puree in a food processor. Add salt. 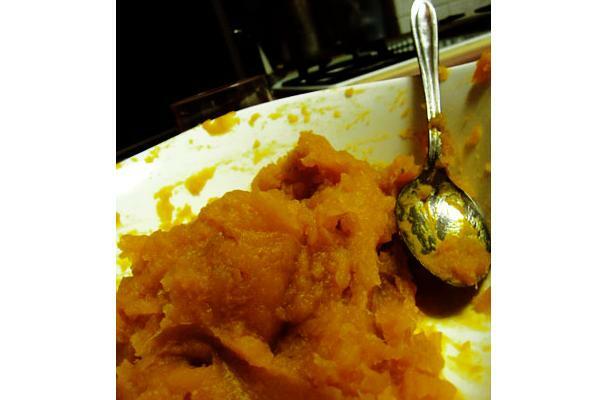 Use immediately in any recipes calling for pumpkin puree or freeze for future use.